Just released "The Walking Dead" after the finale of season 9 in the well-deserved summer break. However, this seems to dominate only on the TV screens, because the production start for season 10 is already approaching. 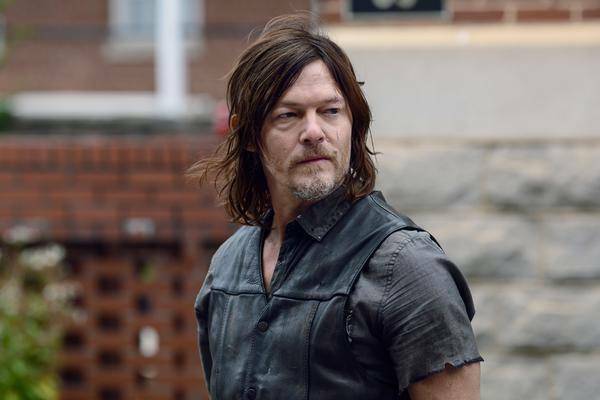 There is no standstill on "The Walking Dead": While the fans are still processing the finale of Season 9 , preparations for season 10 are already on the set! Geek's WorldWide reports that the filming of the new season will start on May 6th. The film will be shot as usual in Atlanta and Senoia in the US state of Georgia. As GWW continues to report, the cameras are to roll until November 21, which should overlap the TV launch of Season 10 with the end of the shooting. As a rule, new "The Walking Dead" seasons celebrate their premiere in October. As usual, Angela Kang will act as a showrunner and will be supported by Gale Anne Hurd, Scott Gimple, Greg Nicotero and Amy Beth Barnes as executive producers. Kang recently commented on the upcoming season and shared initial ideas . Likewise, it is now known that in season 10 of "The Walking Dead" Michonne will be in focus before she will completely turn her back on the show .